Many misconceptions surround the term “nervous breakdown.” Is it a medical term? Does it have any clinical significance? And finally, what does it really mean? Learn the definition of a nervous breakdown, how the term was developed and if it is used today. Psychiatrist Dr. Gail Saltz gives a brief description of the term "nervous breakdown." "Nervous breakdown was a term used decades ago to describe any number of feelings of being extremely overwhelmed with symptoms ranging from depression to anxiety to psychosis such that behaviorally your functioning was seriously impaired." A standard part of American vocabulary sometimes in the testimony of great psychological pain, of an impending clash between external forces and internal capacities. "Typically it’s used in the lay press to denote some acute episode of psychiatric symptoms," says Dr. Sean Luo, Assistant Professor of Clinical Psychiatry, Columbia University Medical Center. "However, this is not a medical term and...it’s certainly not clinically precise." According to Dr. Nwayieze Chisara Ndukwe, Psychiatry Fellow at Mount Sinai Beth Israel, the term "nervous breakdown" gained popularity in the early 20th century. "Colloquially, it was usually used to describe a major personal crisis of almost any kind." She goes on to explain that "following the First and Second World Wars, when physicians had to treat the enormous psychological toll endured by combatants, focus shifted from mental institutions to a more clinical perspective. Further, a disease model was developed that proposed to explain 'nervous breakdowns' which would later be called the 'psychological distresses', encountered by soldiers." She says that this would later give rise to the Diagnostic Statistical Manual of Mental Disorders (the manual psychiatrists use to assist in diagnosis). "The DSM then gave specific names to specific disorders that in the past would have all been lumped into 'nervous breakdown'. As mental health became better understood and less stigmatized, the general population’s exposure and adoption of these more specific terms (depression, anxiety, panic attack, etc.) became more commonplace." 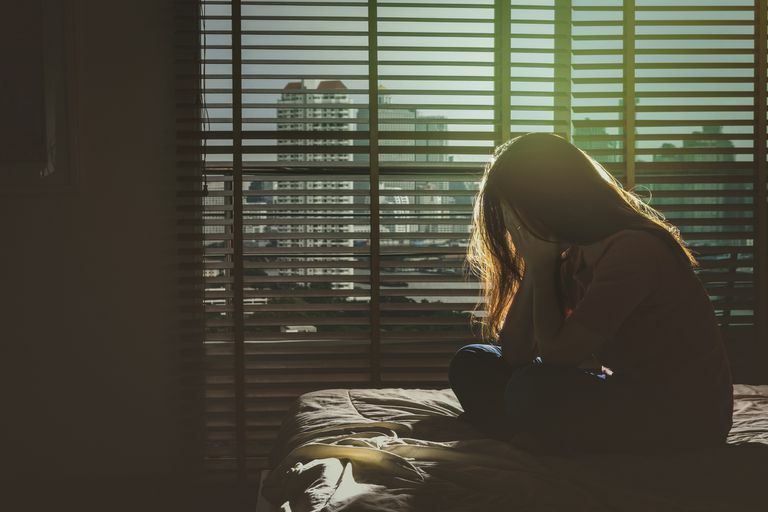 Lastly, she notes "we now know there are several situations, genetic factors, and experiences that are more commonly associated with a decline in functioning, and result in a 'nervous breakdown', but there are also several factors that are unknown." The use of the term declined after the 1960's. Although it is outdated, Ndukwe says, it is still used often as a catchphrase to refer to emotional or psychological distress—usually by those not familiar with mental health. Russian physiologist, Ivan Pavlov, is credited with being one of the first scientists to demonstrate the measurability of mental phenomena. In the late 19th century, through his famous experiments involving salivation in dogs as a response to the ringing of a bell—an external stimulus— he was able to link the physiological, environmental and intrapsychic effects on our nervous system (for example, rapid heartbeat as a symptom in anxiety disorders or specific phobias). Around this same time, terms such as nervous disease, nervous exhaustion, and finally, as described below, “nervous breakdown”, would eventually work their way into our everyday vernacular. Metaphorical uses of the term followed, particularly in reference to failure in personal intentions and plans. It was only in the second half of the 19th century that its metaphorical connotations were extended to the brain—and later to the mind. Its initial association was not to depression, anxiety, or psychosis but to symptoms associated with mental and physical exhaustion and relating to 19th-century constructs such as “neurasthenia,” “the vapors,” “spinal irritation,” and “nervous prostration.” Because neurasthenia (in Greek meaning “lack of nerve strength”) imputes a physical basis (in the nerves) rather than psychological weakness, it was an intrinsically less stigmatizing phrase than “mental illness,” and we can assume that the same stigma-muting advantage held to having a “breakdown.” Its use extended to neurotic disorders in general (particularly those that were incapacitating or required hospitalization) and that its use as a euphemism for any form of mental disorder (including psychosis) appears to have started only after World War I. Essentially stamped out by modern medicine and replaced with the DSM and psychopharmacology, the use of the term “nervous breakdown” is a colloquial remnant of a time when little was understood about mental illness and an unfortunate reminder of the ignorance that continues to pervade society. What Is the Rorschach Inkblot Test (and Does It Really Work)? What Is the Unconscious (and Why Is It Like an Iceberg)? Do You Have an Authoritative Parenting Style? What Are Some of the Different States of Consciousness?